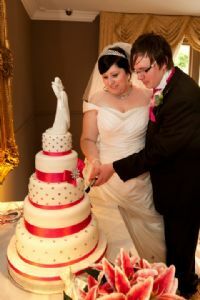 Award-winning Wedding Cakes in Hampshire and Surrey! From weddings to birthdays, Christenings to corporate, we make cakes for all occasions. We offer a unique "At Home" Wedding Cake service to give you a wonderful STRESS-FREE and relaxed approach when planning your special day - all from the comfort of your home! Traditional or funky, wild and wacky, pretty, sporty or just naughty. We can cater for ANY occasion you can name from a birth right through to a retirement! Our superb range of Bespoke and Budget wedding cakes CLICK HERE for details! Be inspired by our latest selection of Wedding and Celebration cakes.